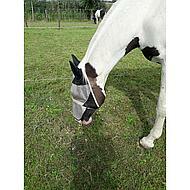 Horse does not just take it off. It also protects well against the flies. 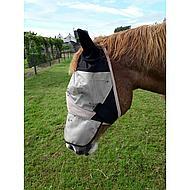 My horse often got inflamed eyes because of the many flies, but this mask does not bother her anymore! It is firmly fixed, but is spacious. It does not care for abrasions! 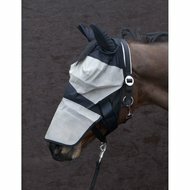 Very nice mask, sturdy material and keep the eyes free. Recommended! Question: Is the nose flap also UV resistant?